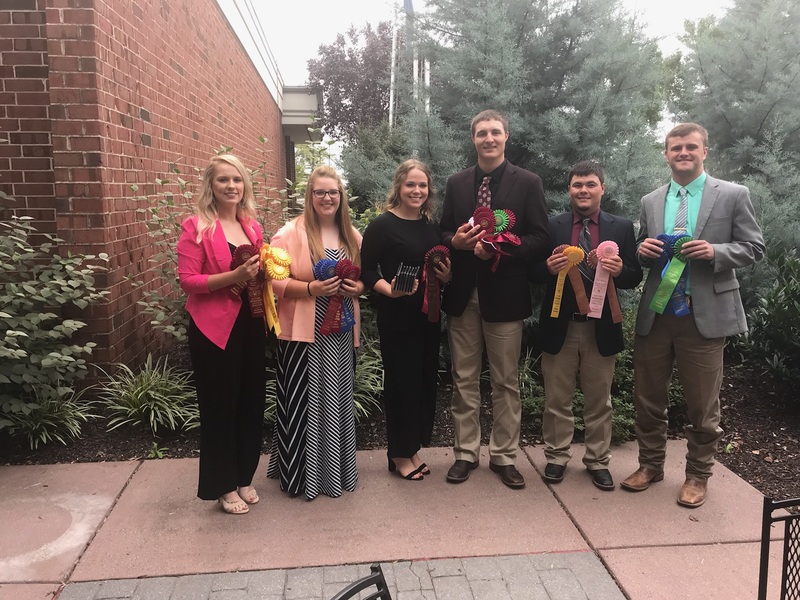 HAYS, Kan. – The Fort Hays State University Livestock Judging team earned second place overall at the Keystone International Livestock Exposition competition in Harrisburg, Pa.
With an overall team score of 4,512 in reasons, the FHSU team was close behind Ohio State University with its team score of 4,521. FHSU also earned first-place honors in the team sheep category, second place in the team swine category, and fourth place in the team cattle category. Quentin Haas, Madison senior, sixth overall individual, finished the livestock judging contest with a total score of 360, the individual reasons with a fourth-place rank, and two seventh-place ranks in the individual swine and individual cattle categories. Regan Kats, Prairie View senior, finished third place in the individual swine competition and completed the livestock judging contest with a score of 358. He also earned fifth-place in the individual reasons competition. Garret Brunk, St. Francis junior, placed fifth overall in the individual sheep contest, and finished the livestock judging contest with a total score of 345. Brianna Stefan, Minneola junior, participated in the livestock judging contest with an overall score of 339 and finished the individual sheep competition with a third-place rank. Morgan Tucker, Dighton junior, had an overall score of 330 in the livestock judging contest. Gentri Collins, Dodge City senior, had an overall score of 329 in the livestock judging contest.